Our doctor was just as funny as always, it’s good that we can have a laugh with him and the nurses and not just have it all feel so ‘business’ like. So the scientist that was looking after our little embryos went over a few things with us. First she gave us a print out of our little embryo that was getting transferred and pointed out the different parts/sections etc. It was all so interesting. I’ll share the picture with you all. See the very bottom little cluster? That is what will (hopefully) form into the baby and the rest will all form into the placenta. Argh it’s just all so amazing. 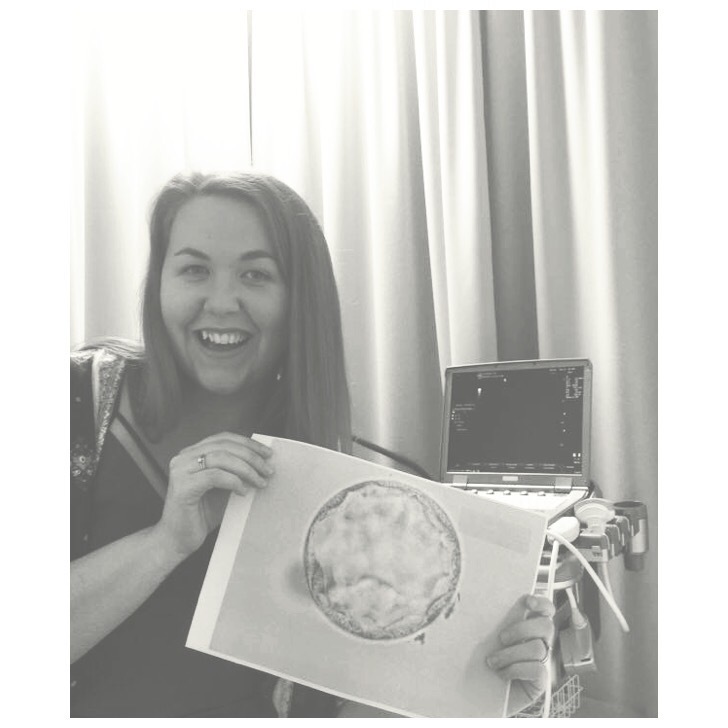 She told us that it was a perfect looking embryo. She also said that they will be freezing the rest today and by monday we will have a confirmed number of how many made it to the freeze stage. We are very excited to find out! Now it was ‘lets get pregnant time!’ I undressed from the waist down and jumped up onto the bed. 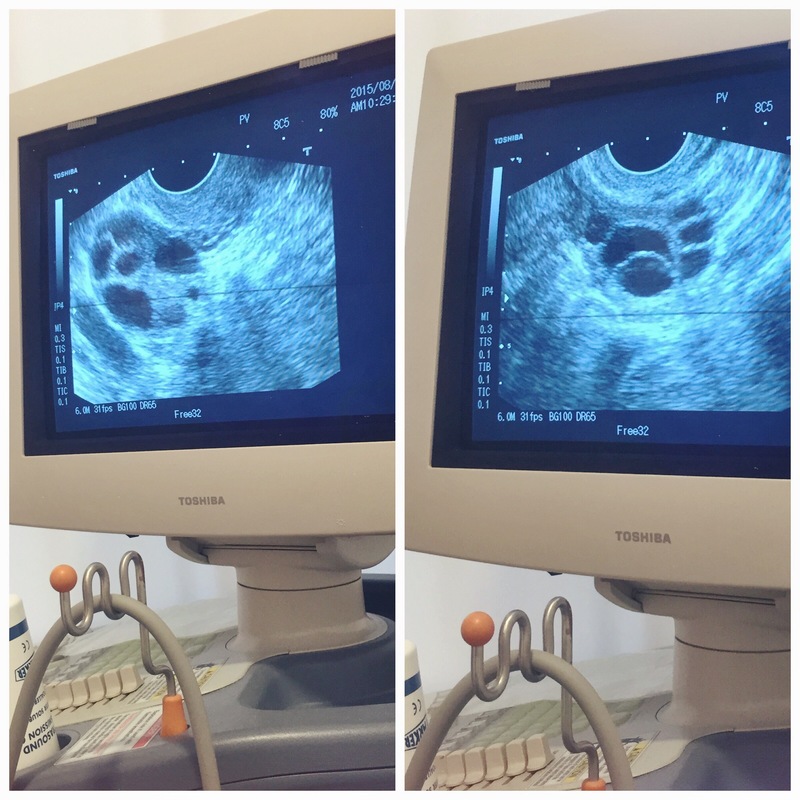 The nurse was in charge of the ultrasound machine that would show us the little embryo being put into place. The doctor got out the oh so fun Speculums and it was go time. 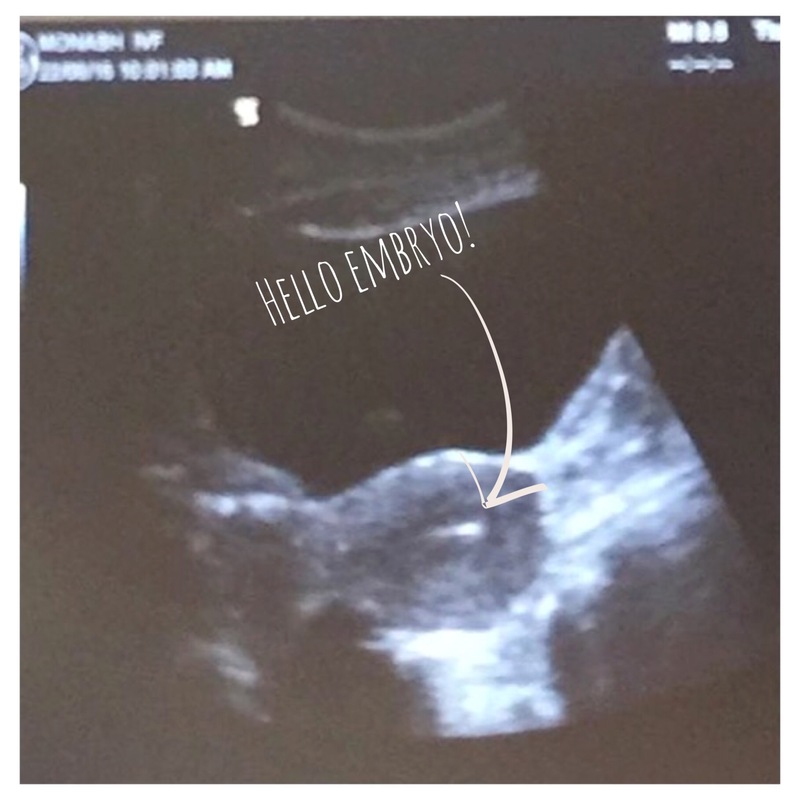 He inserted a small catheter all the way up into my cervix and then the scientist loaded up the syringe with our little embryo and we actually got to watch the ultrasound screen as it was pushed through the catheter and into my uterus. It was this tiny little white speck…it was amazing! They then waited about a minute before removing the catheter and then the scientist checked the syringe under the microscope to make sure it wasn’t caught or anything (standard procedure) and that was it! All done! Well I haven’t posted an update on our little embryos on here yet. I have on Instagram but if you don’t follow me over there then I’ve left you in the dark for a little while. So I thought I’d post an update as well as how my recovery is going after my egg collection. So… lets start with egg collection recovery, I had my collection on Monday (17th August) and went home afterwards feeling quite good. Had a few little cramps and tenderness but I slept it off that afternoon. 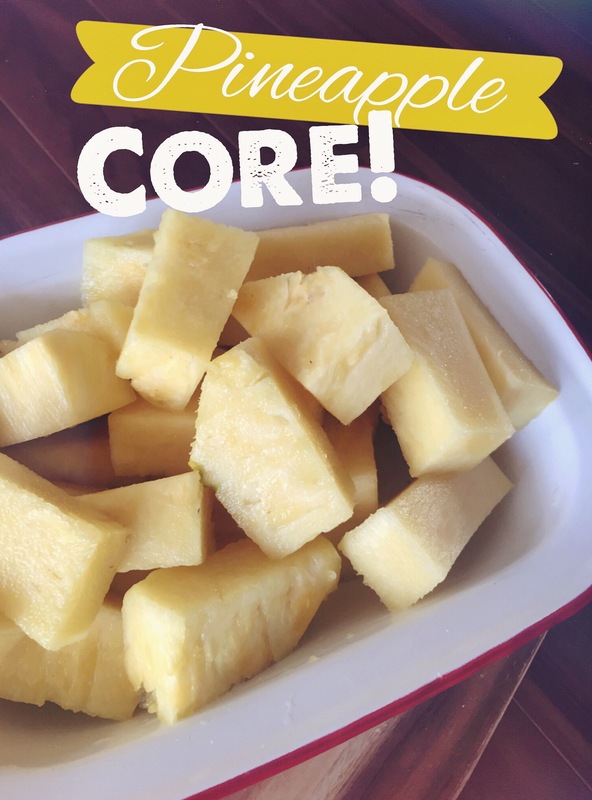 Come Tuesday morning when I got up to get Zach ready for daycare I was instantly in pain, just felt off and like I was really really full/bloated. So after I got home from dropping Zach off I went straight back to bed with my heat pack and rested. In fact I literately spent the WHOLE day in bed, constantly just rewarming up my heat pack (seriously if you have egg collection coming up, I strongly urge you to get a heat pack!). It was the only thing making me feel better. I decided not to have any painkillers just because I felt like the pain wasn’t THAT bad. And I just don’t like the idea of having extra unneeded drugs in my system. Come Wednesday I still felt off, kind of like bad period pain and again just that full/bloated feeling. My stomach had ballooned up. I felt and looked about 4 months pregnant, then this morning I work up not too bad (thank god!) the tenderness/pains have gone and just feeling a little bloated but not as bad as the last few days. So finally feel like I’m getting back to normal. Which is a welcomed feeling. 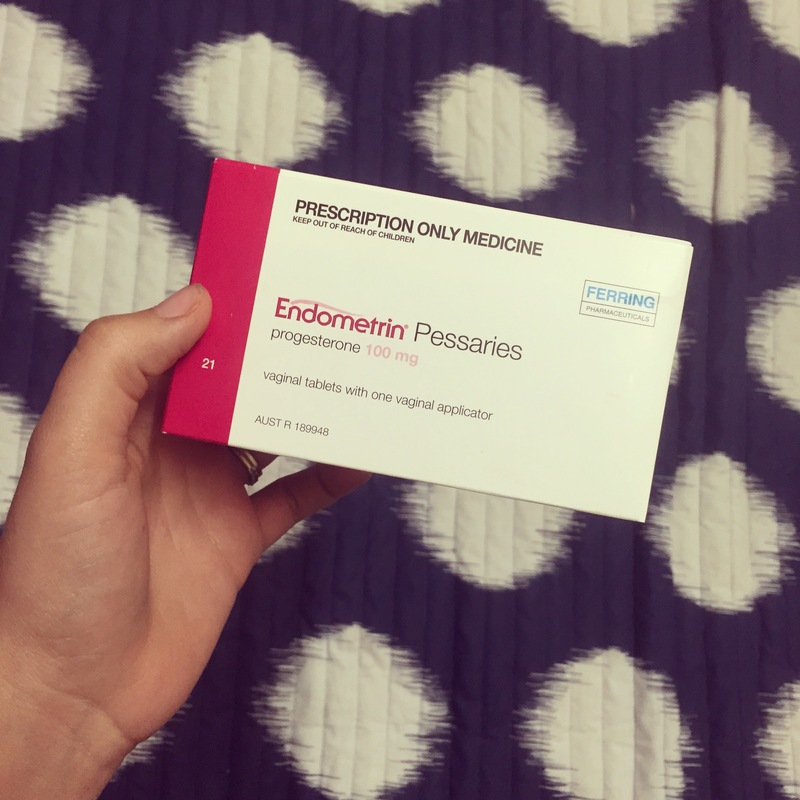 So then on Tuesday night I had to start my progesterone pessaries (oh joy) they have been going fine (I have to take one in the morning and on in the evening) but last night after I inserted it I had a few little pains down there, I don’t really know how to explain it. Maybe like a little pressure pain? Is that weird? Same thing happened again this morning after I inserted my morning dose. It’s not horrible or anything just a little uncomfortable for about 10 mins or so. Hopefully it gets a little better once my body is use to it. Anyone else experienced something similar? Ok so lets get to them embryos! Last update I gave on here was that all 9 of our eggs fertilised perfectly and were going strong (Tuesdays update from the lab). 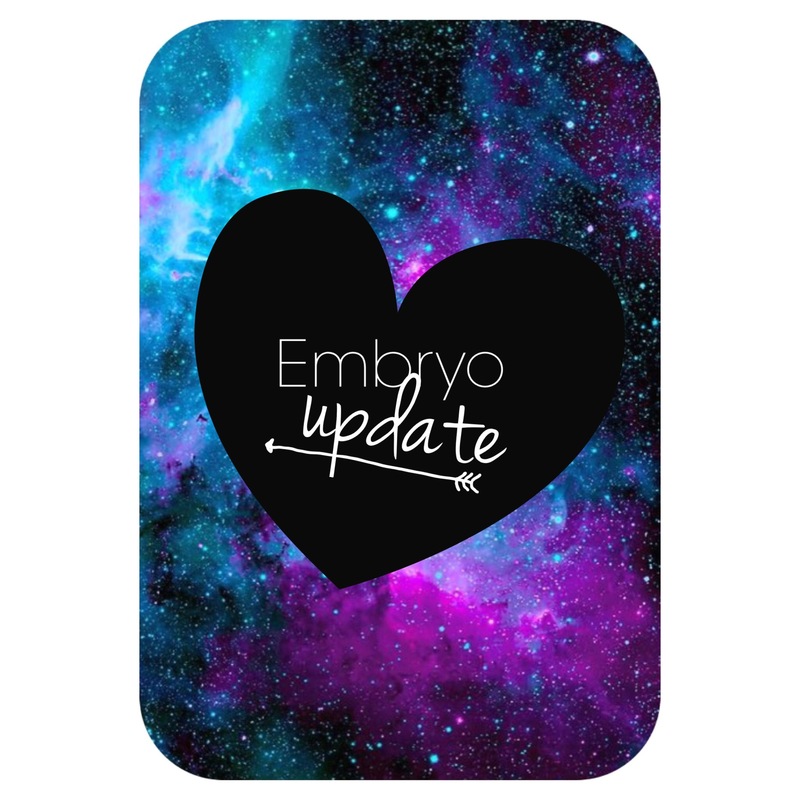 Well I rang up on Wednesday to check up on our little embryos and the nurse let me know that once again all 9 were going strong and the cells had divided perfectly overnight. We now had 9 perfect little 2-4 cell embryos. Then I of course rang up again this morning for an update (keep in mind my nurse said feel free to ring up everyday for an update haha) Again today she let me know that all 9 were still going strong and they were all now 6-8 cells. 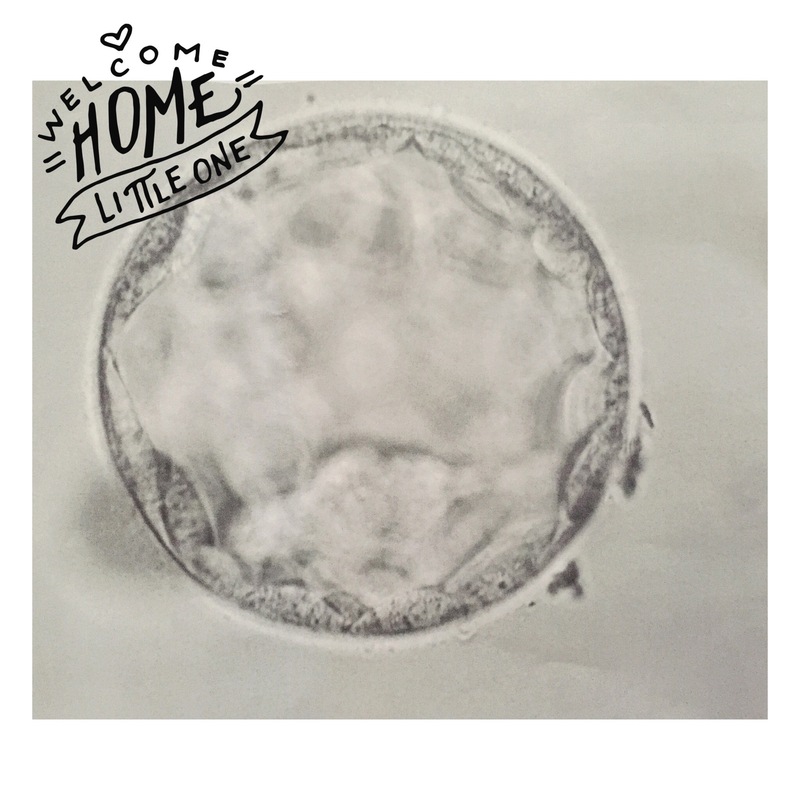 She said that 1 embryo did have very mild fragmentation, but it was not bad and nothing to worry about at all. Whats fragmentation…? 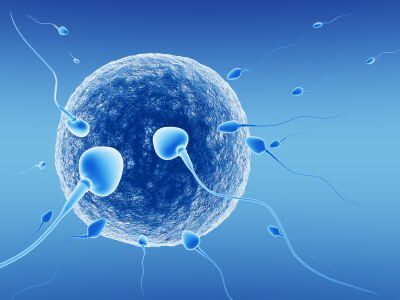 Fragmentation is described as: When the embryo cells divide, little pieces can sometimes break off. They assess each embryo as having nil, mild, moderate or severe fragmentation. 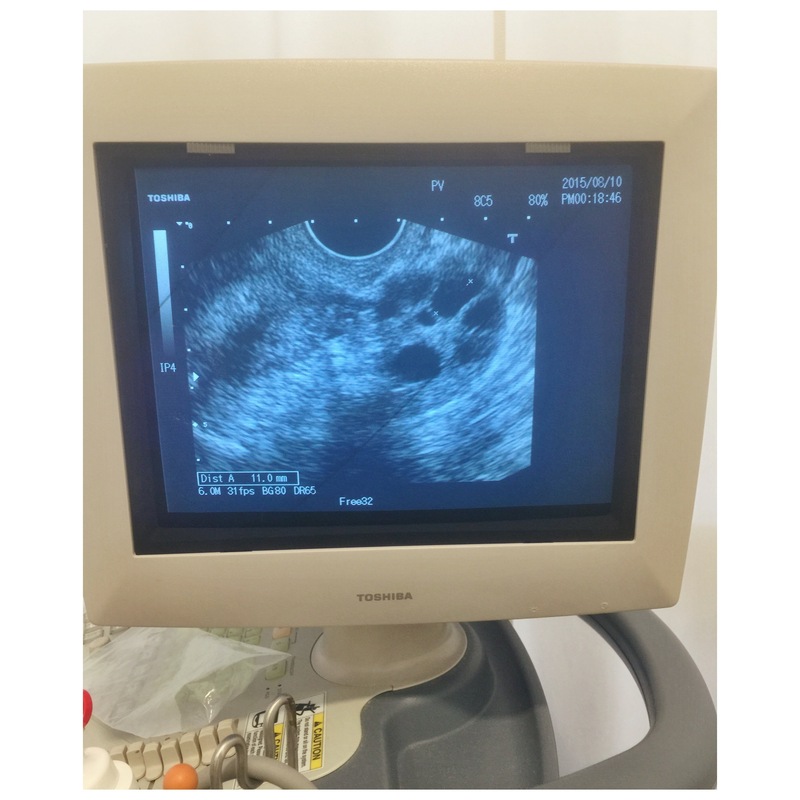 Embryos with higher fragmentation will sometimes have lower implantation rate. 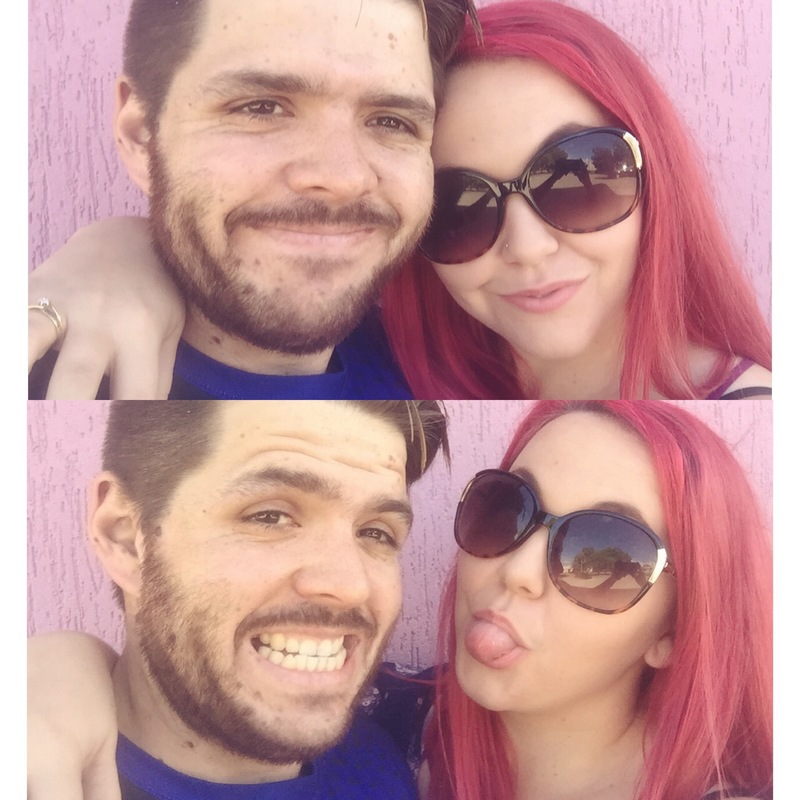 A while back I posted a blog covering the cost of our IUI process we did back in June. I’ll leave Part 1 and Part 2 here for anyone interested in having a read through through them. Well I thought I would do an update on the cost of our IVF journey as well. I hope this helps other couples going through similar situations and to help people get an idea of the costing involved etc. Of course not everyones treatment cost is going to be the same, it all varies with your background, medications required, your doctors and chosen fertility clinic etc. 1st IVF ‘down payment’ to our clinic (covers our cycle planning/management our future doctor meetings, ultrasounds, blood tests, donor sperm, ICSI, washing of sperm, egg collection, transfer etc) this first half of the payment had to be done before our drug collection from the pharmacy. Once that payment was received we got our pharmacy receipt to pick up our drugs. 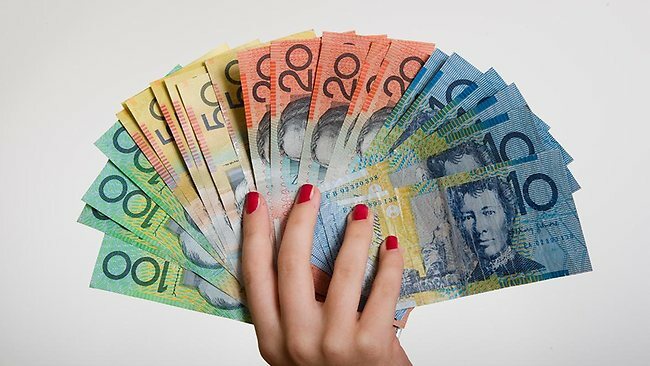 Our drugs here in Australia are subsidised by the Australian Government which means we only have to pay the standard $37.70 per drug which is what the pharmacy pays for the drug from there supplier and the government covers the rest, so basically we just rebate the pharmacy there cost. 2nd IVF payment to our clinic (covers our cycle planning/management our future doctor meetings, ultrasounds, blood tests, donor sperm, ICSI, washing of sperm, egg collection, transfer etc) this second payment had to be received before egg collection. Day Surgery Fee: The morning we arrived for our egg collection we had to pay our ‘hospital bed’ fee – this cost actually blew my mind, had no idea it was so much. Once we have our rebates back from medicare I’ll update this post with how much we were rebated. Hope this was interesting and a bit of an insight into the world of infertility. Thanks for reading. The day has finally arrived. Egg collection is here. We got up super early (5.50am) for a 7am check in at the day surgery. Jason had the day off work so he was my ‘carer’ for the day. I don’t know how it is in other towns/states/countries but Jason wasn’t allowed in the room while the eggs were collected. I remember watching some YouTube vlogs where the husbands etc were allowed in so I was a little bummed – but then again I was fast asleep during it all so I guess it wouldn’t have matter either way. 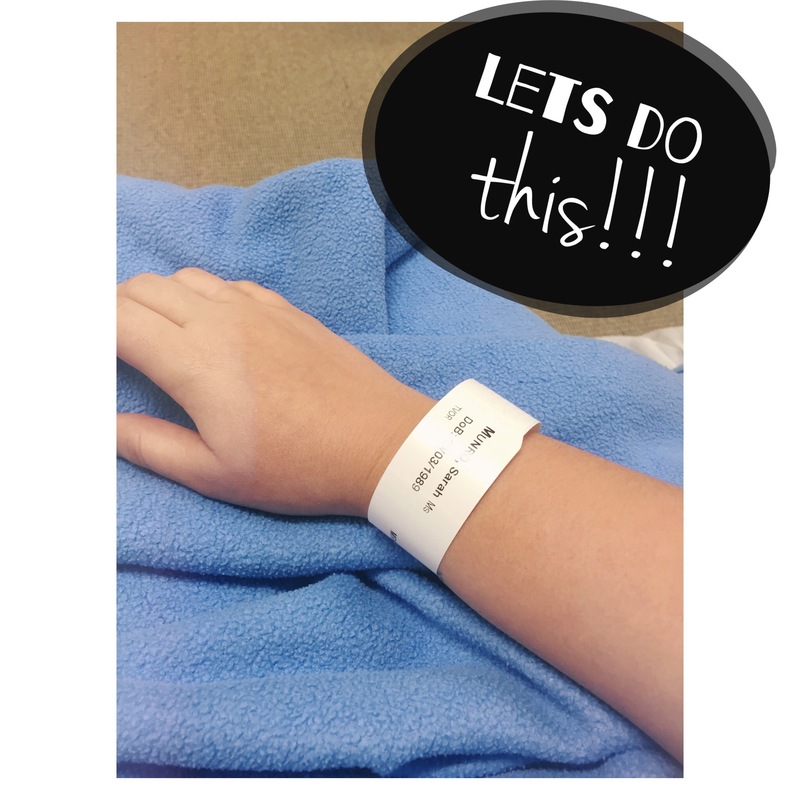 We arrived at the day surgery just before 7am signed some more consent forms and payed the $1,060.00 for the ‘hospital bed’ – damnn. I was in that bed maybe an hour total. That’s one expensive ‘nap’ lol. Kissed Jason goodbye and off I went. 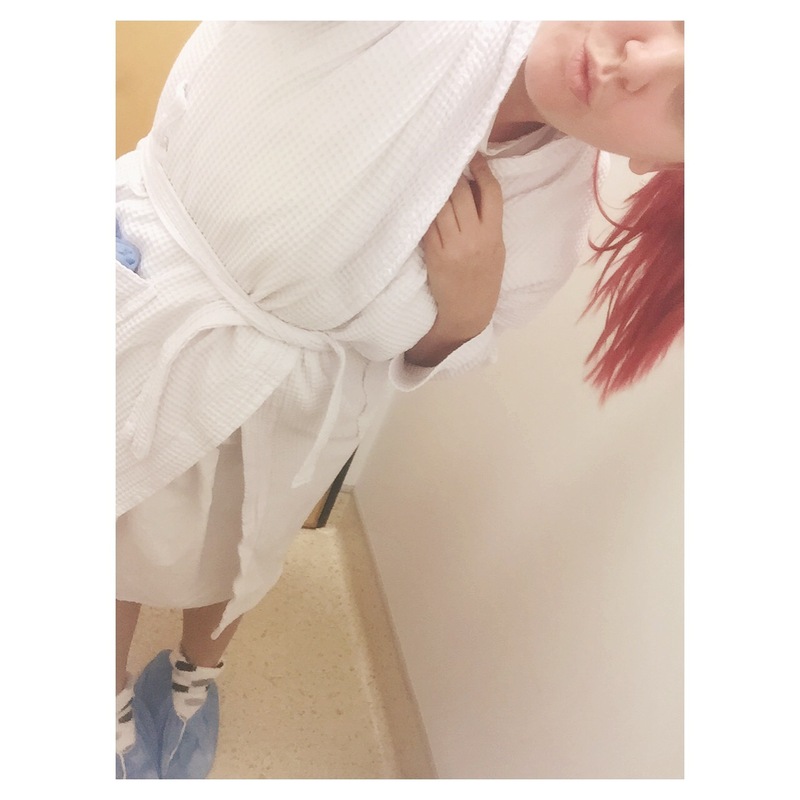 I got my blood pressure checked and my temperature then changed into the lovely hospital gown, little foot covers and hair net. I was styling haha. Had my IV inserted for the anaesthetic. Right on 8am I walked into theatre I was surround by nurses and my doctor, asked what my name and date of birth was about 10 times lol, and then up on the bed I got. I was asleep within seconds of getting the IV connected up. The procedure took a total of about 30 mins. I woke up in recovery with a nurse say ‘Hello Sarah you can wake up now’ – it was such a nice sleep I didn’t want to wake up lol. Woke up with some pain/tenderness and pressure on my back and both lower front sides. 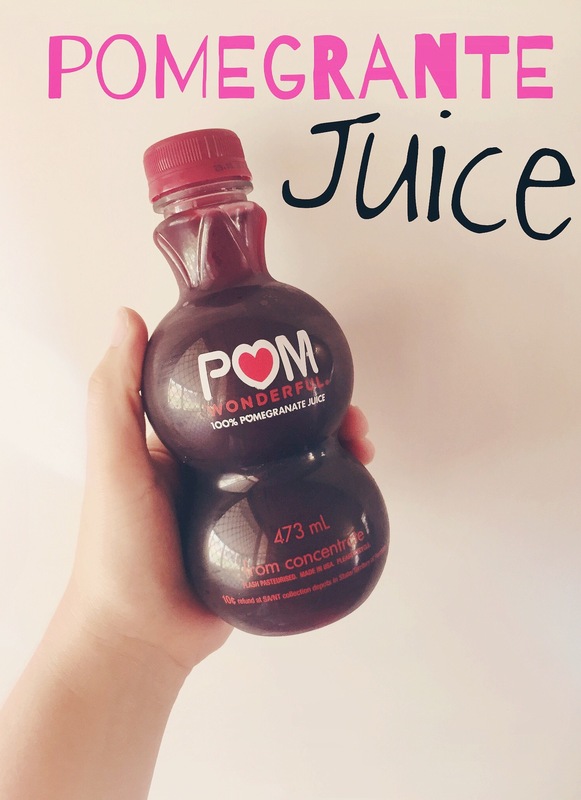 Kind of like bad period pain. The nurse asked how I was feeling and told me they got 9 eggs, then for some reason I started to cry. 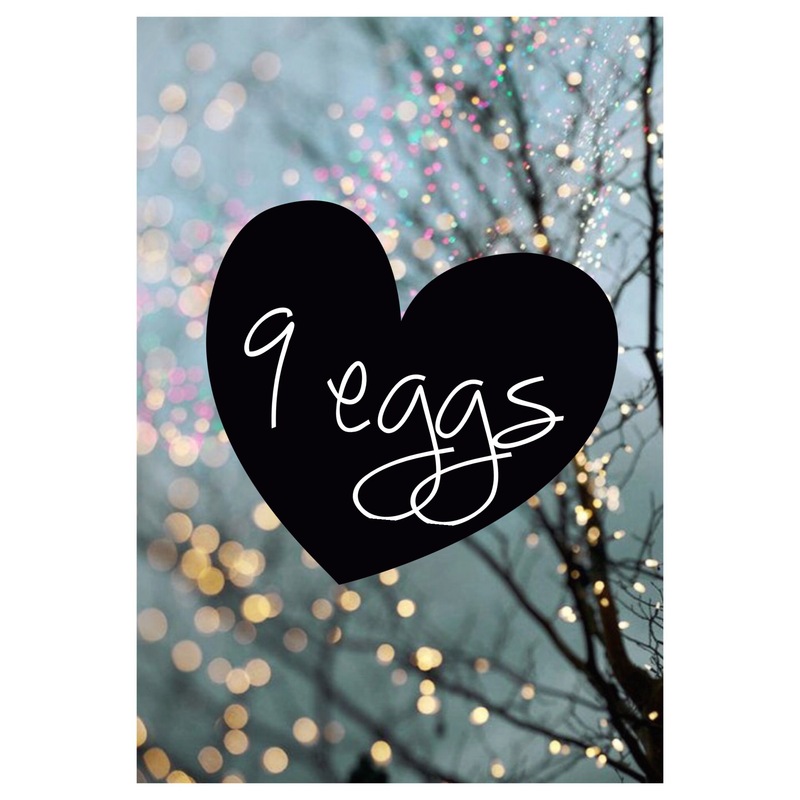 I don’t know if it’s because I was hoping for more eggs or because I was still loopy from the anaesthetic, but I know I should be happy with 9. 9 is a good number. Jason and I were married in the 9th month of the year. Our anniversary is on the 9th, 9 is a magic number! We love 9! I think its a good omen! It was just after 9am when I got dressed back into my clothes and taken to the seated recovery area, nice big comfortable recliner chairs. Because of the pain I was feeling they left my IV in for extra fluids. They gave me some juice and something to eat and just left me to relax and recover. Jason showed up a little after I got to recovery. Our IVF nurse Judy then came to have a chat with me and let me know that they got 9 eggs and that we can call after 10am tomorrow morning for an update with how fertilisation is looking. Let me tell you 10am can not come soon enough. I’m praying all our eggies hold on. After about 2 hours in recovery (they wanted the WHOLE bag of IV fluids to get into me) we were free to leave. We headed to the pharmacy to pick up a heat pack (a real life saver for the pain!) and my prescription for my progesterone pessary. I will need to start taking them tomorrow night. 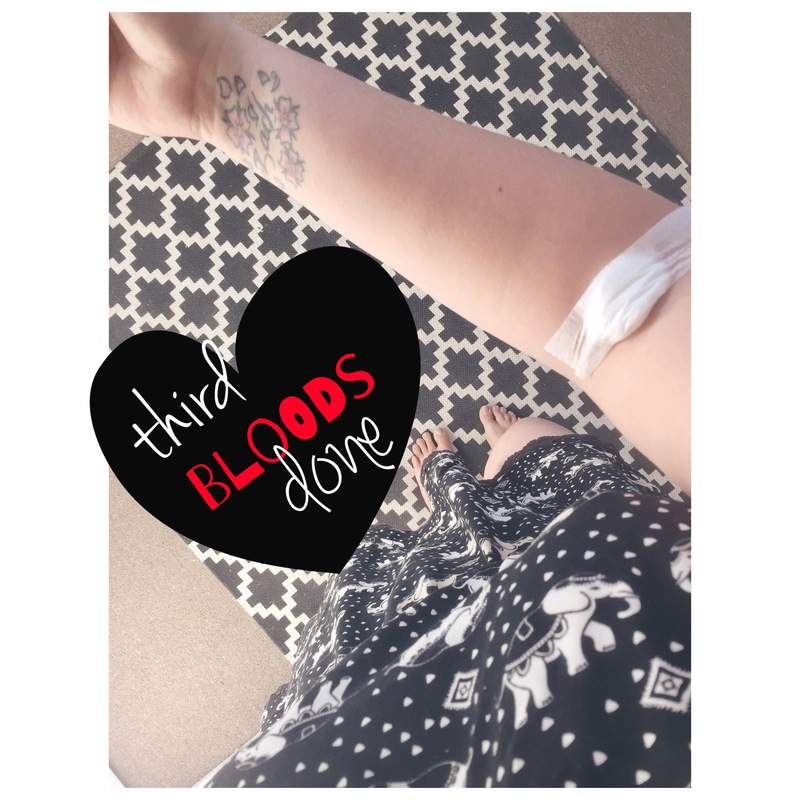 This morning I had my 3rd lot of bloods taken. I thought it was going to be my last (at least until the blood pregnancy test after transfer) – but my IVF nurse just rang and said I have another to do tomorrow morning. That’s a total of 4 blood tests in 6 days – my poor veins haha. We had our last follicle ultrasound with our doctor this morning as well and things are looking great. All ready for egg collection Monday morning. My left ovary had about 4 good follicles with a bunch of smaller ones and my right ovary had about 5 good follicles with a bunch of smaller ones. Both sides also had a few follicles that were measuring too big so they most likely won’t be good to use which I’m kind of bummed about. But it’s quality over quantity, it only takes one! Sunday night – fasting from midnight – no food or water until after surgery. I have a feeling this weekend is going to fly by! I’m so excited to see how many eggs we get. Zach is sleeping over his grandparents house Sunday night so we will be relaxing and staying calm and positive sunday night, and will be all set to head off bright and early Monday morning. 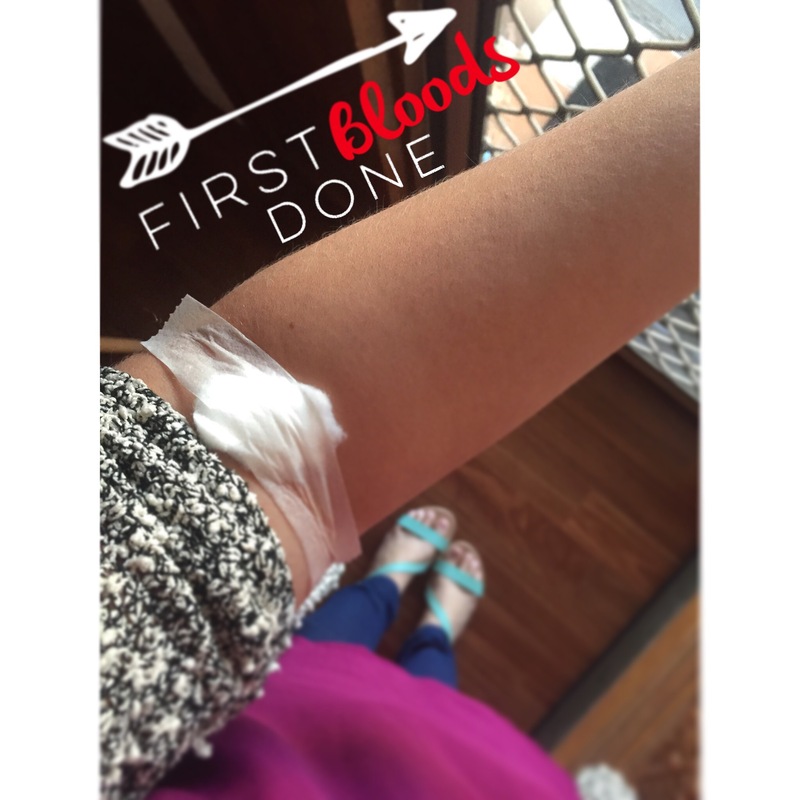 Went in bright and early for my second round of blood tests this morning and got my results from the nurse just after lunch time. Everything is looking good and the estrogen levels are looking much better after dropping down my Puregon injections to 125IU. The next 2 nights of Puregon will be dropped down to 100IU. Then on Friday morning I’ll have a second monitoring ultrasound to check on them follicles and a third blood test. My IVF nurse is pretty confident that we will be doing the egg collection on Monday morning. Arghhh! I’m hoping everything stays on track and it all goes smoothly. So excited and nervous. It’s really happening! 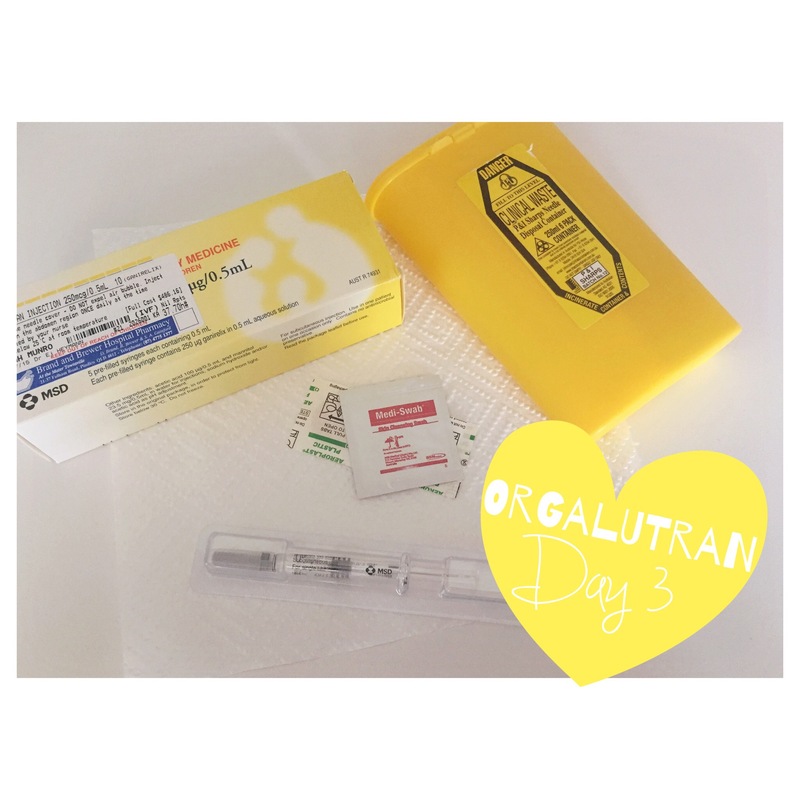 My morning Orgalutran shots have been a walk in the park, the first one was bad but the 2nd and 3rd have been fine. In the last 6 days I’ve been stabbed 9 times with a needles. I’m certainly over any ‘needle phobia’ I might have had haha. 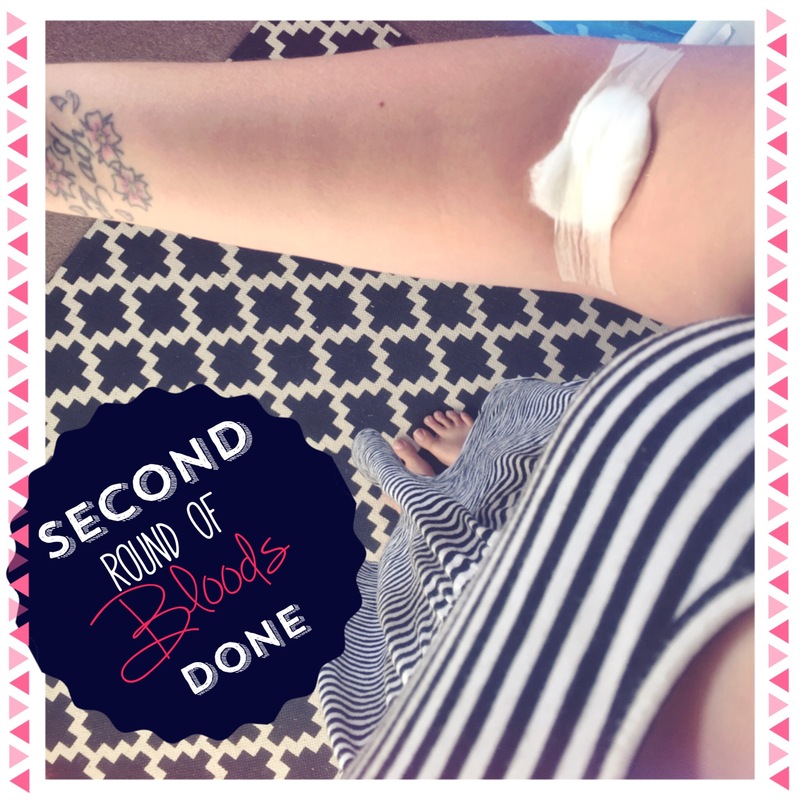 Thanks for reading and I’ll update with how my meeting with my doctor and ultrasound/blood work goes on Friday! Praying my follicles are doing their thing. 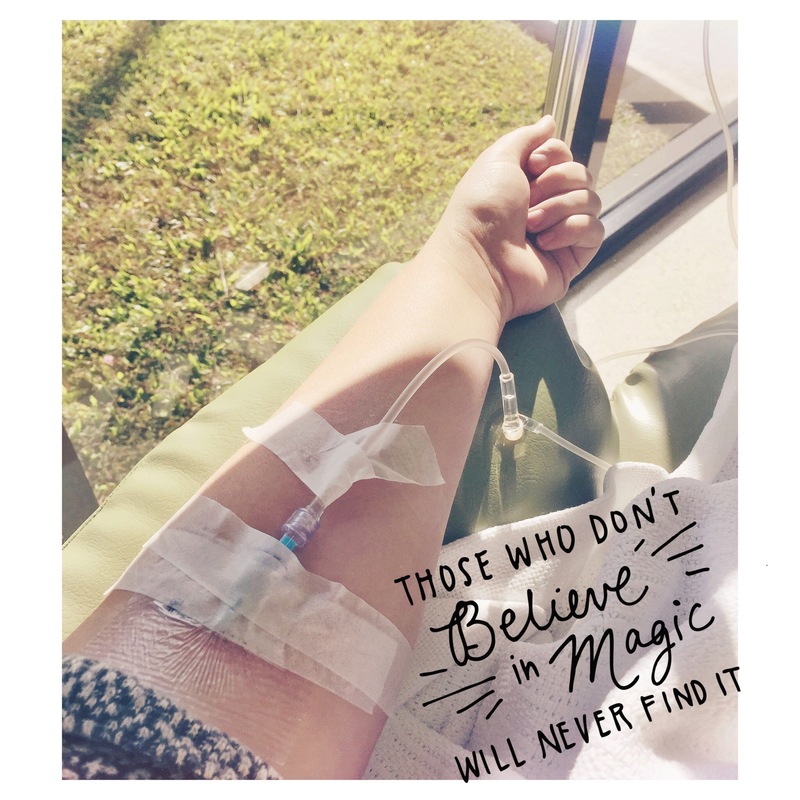 So this morning I went in to get my blood taken for my first round of blood tests, I went in at 7:30am the earlier the better the clinic said so that my doctor would have the results by the time we headed in for our monitoring ultrasound at lunchtime. 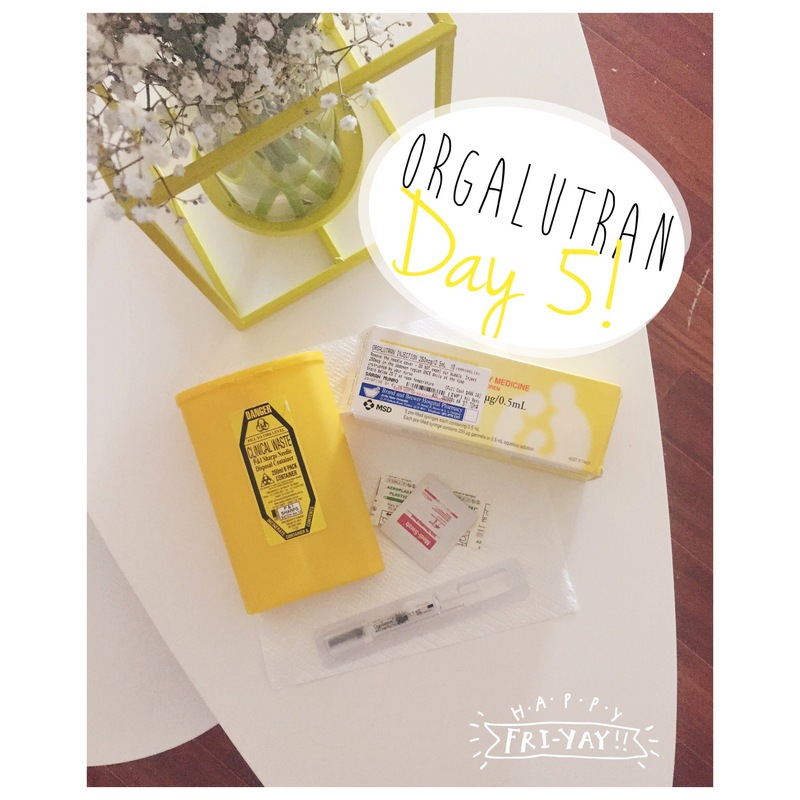 When I got back from that first morning appointment I had to do my first morning injection of Orgalutran. 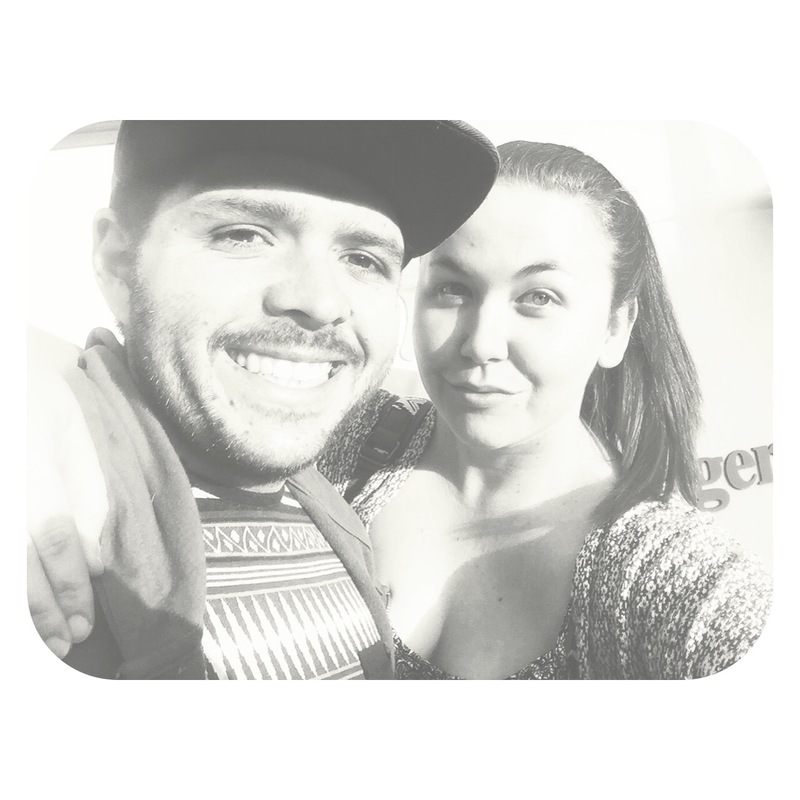 I was so nervous and my hands were so clammy. 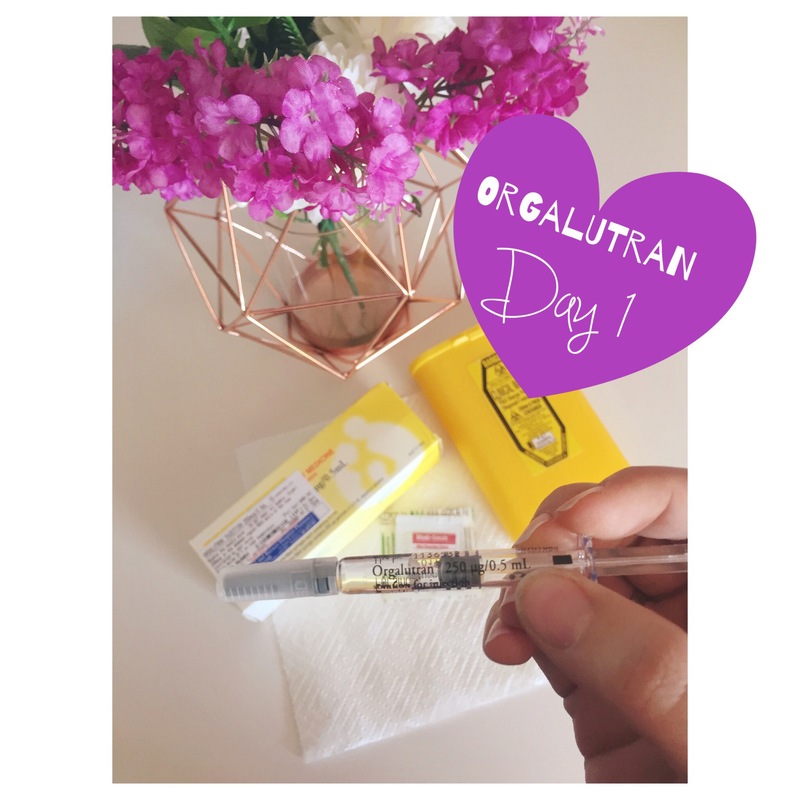 The needle on the Orgalutran injection is about 4 times thicker than the one on the Puregon so I wasn’t looking forward to it at all. Finally I build up the courage and did it. It absolutely stung, with the Puregon I literally feel nothing but this one you defiantly can. Pulling the needle out after the injection was completely was horrible. Another 6 days to go of it. Eeek. Instantly after the injection I got a huge red welt and it looked like an insect had bitten me, oh and it was itchy! So so so itchy. I think now I know what to expect tomorrow it shouldn’t be so bad. 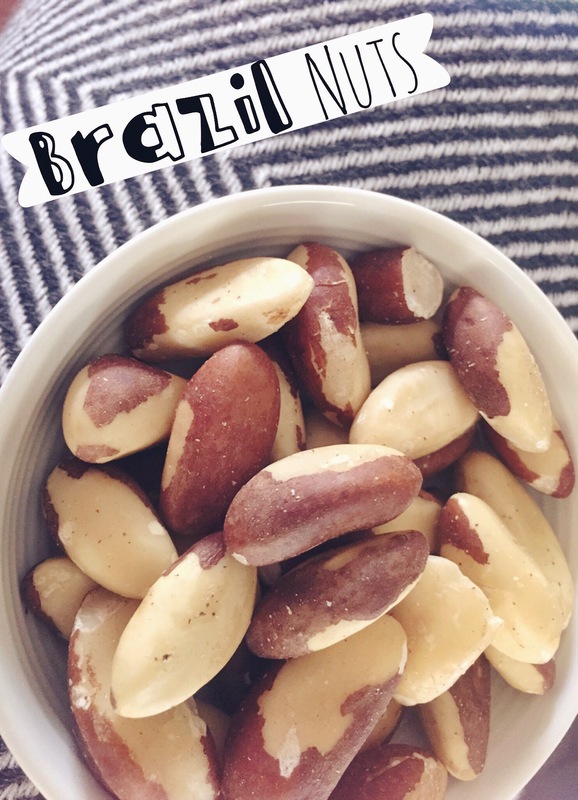 So fast forward to lunch time, time to meet with our fertility doctor and review my blood results and have a little look at how my follicles are going. Well….lets just say I’m responding really really well. Maybe a little too well. So straight away the doctor let me know that my estrogen levels were too high for only being on day 5 of injections. They are already at over 2000. So he wanted to go ahead and check my follicles before deciding on what to do with my dose ect. So the monitoring ultrasound showed that my right ovary has about 10 follicles with 2 already measuring 11mm – at his stage he only wants them to be about 7-8mm and my left ovary had about 8, biggest was about 11mm I’m pretty sure. I’m pretty amazed that my left ovary had so many as it only had like 2 very very small ones during our IUI cycle in June. So he basically said that my body is responding really really well to the drugs and my dose will have to be taken down. 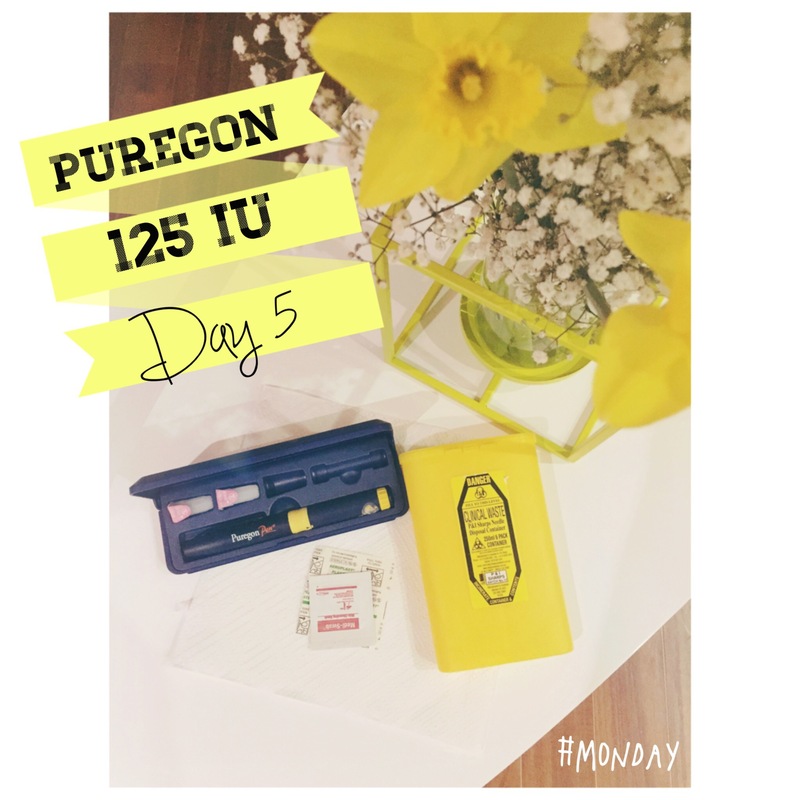 So tonight I will be having 125 IU of Puregon instead of my original 150 IU. I will also do 125 IU on Tuesday night then back in for a 2nd blood test on Wednesday morning, then a 3rd blood test for Friday morning and a 2nd ultrasound. He thinks I’ll most likely be taken down to 100 IU on Wednesday. With the way things are going egg retrial will most likely be done on Monday morning and it’s looking like I’ll have at least at 12 follicles/eggs to be collected. Then if things happen to not go to plan and my estrogen levels keep rising they will most likely cancel my cycle because the risk of getting OHSS (ovarian hyerstimulation syndrome) will be too great. So basically I’m praying that taking my dose down will help even out my levels and everything will be good to go. Keep your fingers crossed for us!